HCRG specializes in Medical Cost Containment solutions across the nation. We continually develop, test, and implement new solutions to meet the ever changing needs of our clients and the industry. For over 25 years we have successfully delivered results to our clients in measurable return on investment and bottom line metrics. HCRG specializes in High Cost and Complex Medical Reviews and Claims Audits. Complex claims are the biggest drivers of healthcare costs. Medical reviews to confirm data analytics is critical before appropriate SIU actions are taken. 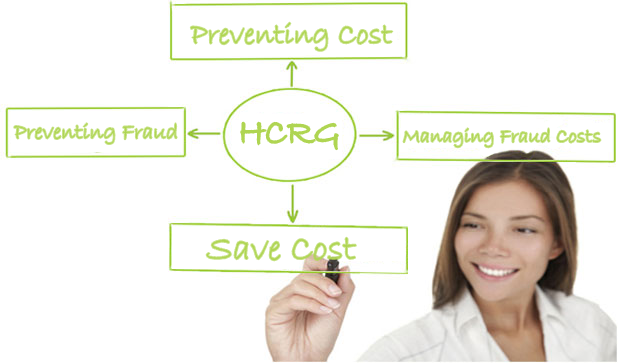 HCRG provides a specialized high cost and high risk claim audit to determine the accuracy of billing and coding. Some of these services include: Sober Homes, Telemedicine, PCS, Dialysis, Behavior Health, Pain Management, etc.. The HCRG Lien Resolution program is the best in the industry. We close files, reduce financial exposure, and deliver cost savings which consistently beat industry standards. Our hourly rates are one of the most reasonable and affordable in the Workers' Compensation industry. The payer SIU team is charged with investigations of fraud and take actions to litigate them. The investigative actions are very involved and may include data analysis to identify outlier billing patterns, public record reviews to determine professional and business licensures and Medical Records Review. HCRG delivers expert and tenacious WCAB lien defense support services powered by a team of experienced and credentialed hearing representatives, lien assistants and proprietary software. We provide results oriented lien defense strategies to provide the best savings for our clients. HCRG has been an accredited provider of Continuing Education since 1988. Since that time we have developed several learning solutions. These have included: Home study, E-learning, Seminars, and Conferences. For over 20 years, HCRG has been teh trusted consultants to some of the leading healthcare systems in North America. Our broad expertise creates a distinctive, lasting, and substantial improvement in bottom line performance metrics. HCRG provides a fully comprehensive National Medical Bill Review service. Our best in class partnership, proven technology platform, efficient and accurate workflows, PPO networks, application of fee schedule, and ground rules by state all work together to generate the maximum savings for our clients. HCRG not only provides solutions for cost containment, but also provides solutions for cost prevention. Clients working with HCRG have collectively saved millions in medical costs. Our multi-service approach helps your organization succeed in reducing cost. We develop solutions and tools for management, operations, work processes, work methodologies, information management, and data reporting systems to implement a unique and effective approach to medical cost management. Your Organization will be in Good Company. 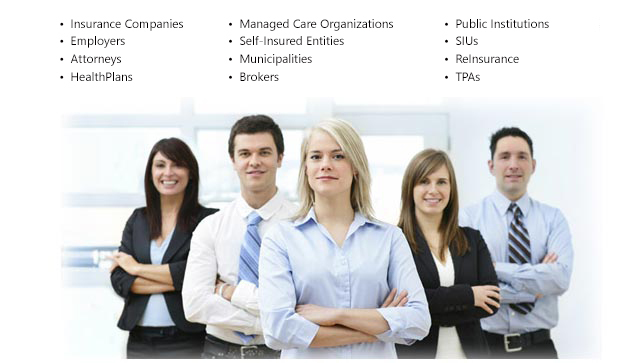 This is a partial list of the client types we serve. We support our clients 24/7 with a proven track record in Medical Cost Management. Our mission is to continuously focus on understanding the needs of our clients in the ever changing environment, advance our technology, and develop result-oriented services to improve bottom line results, and meet regulatory requirements. When you choose to work with HCRG, you choose competence, trust, ethics, and accountability. We stand by our work.